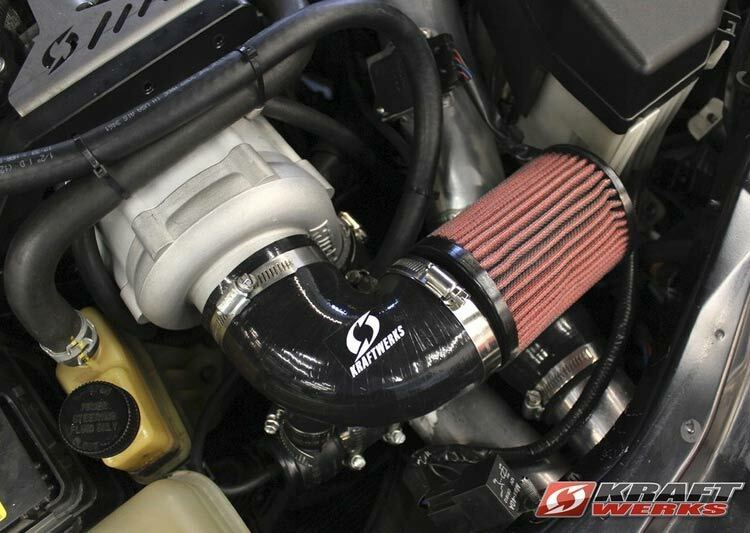 We review the most popular Mazda Miata supercharger kits available on the market today. This is the ultimate Miata supercharger guide for all generations of Mazda’s iconic roadster. The Mazda Miata (or MX-5 known elsewhere) is without a doubt the two-seater sports car icon of our generation. Launching in the late eighties and progressing through four iterations, this successful cabriolet is still in production today. The low kerb weight, front engine, rear-wheel drive (FR) configuration has meant that all generations of the fun-focused soft top make great daily drivers, circuit cars and with the right tuning, even drift cars. When it comes to out and out track slaying the plucky Miata comes up a little short on the power front but lucky for us Mazda fans, the aftermarket has stepped in. If you are new to forced induction then you may be asking yourself which of these two paths are the better option? I’ll let Marty and Moog explain the difference with an extremely scientific test.. The aftermarket has a plethora of options for Miatas, both of the turbocharged and supercharged varieties. In this guide we are focusing solely on the superchargers that are available today. Unfortunately, as the early generations of the Miata are nearing thirty years of age, some aftermarket options have fallen off the table so with this guide we aim to offer you options that you can order right now. Matt Farah of The Smoking Tyre YouTube channel takes a fourth generation (ND) Mazda Miata equipped with a Flyin’ Miata supercharger system for a review down his favourite canyon run. 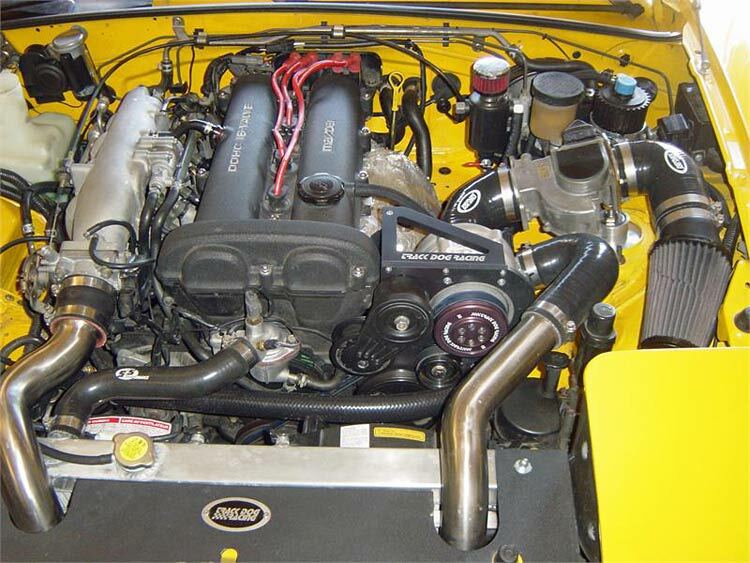 Still not convinced on forced induction for your Miata? Try this compilation of the best Miata sounds with over twenty different cars that are turbo charged, supercharged or tuned naturally aspirated. If your going to add forced induction to your Miata, your gonna need to tighten up that handling. We have written this guide just for you: Miata coilover guide. To read more about any of these products simply click on the supercharger kit name or photo. Click on the purchase link to be taken to a retailer to buy that system. Our comment: Supercharging options for the classic NA platform Mazda Miata are thin on the ground in 2018, after some research a well regarded kit that is still available today is this Rotrex offering. 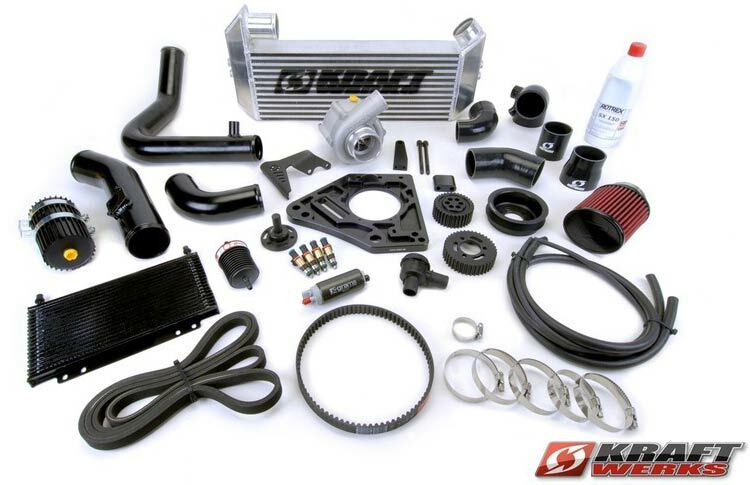 While the entrry level price is strong, this kit offers everything you need to double the stock bhp of your 1.6 Miata. An intercooler and supporting hardware should enable you to run this power level without compromising on your Mazda’s reliability. Hit play to see an NA model Miata equipped with a Rotrex supercharger. Our comment: The highly regarded Kraftwerks kit uses a Rotrex supercharger at it’s core and a complete package of supporting components to upgrade your NB model Miata. We like this kit as it offers a huge dose of additional performance, with little or no fabrication required. Kraftwerks do a great job of offering a true bolt on kit that includes everything from fuel injectors, engine management and intercooler. Talk the torque review this Kraftwerks supercharger equipped Mazda Miata NB. Our comment: The Flyin’ Miata kit for the NC model Miata offers great performance, comprehensive installation package and excellent customer feedback. The kit has even been tested on official Mazda cars which speaks volumes. When compared in context with the Kraftwerks kit the value for money does pale a little, so less stars have been awarded. This is still a very good option if you have the cash. Jump behind the wheel of this Mazda Miata NC tuned with a Flyin’ Miata supercharger a the race track. Our comment: The second Kraftwerks supercharger kit in our guided is built for the NC model Miata. The Kraftwerks team have done a fantastic job of making sure that all of your component upgrade needs will be taken care of with this very affordable package. 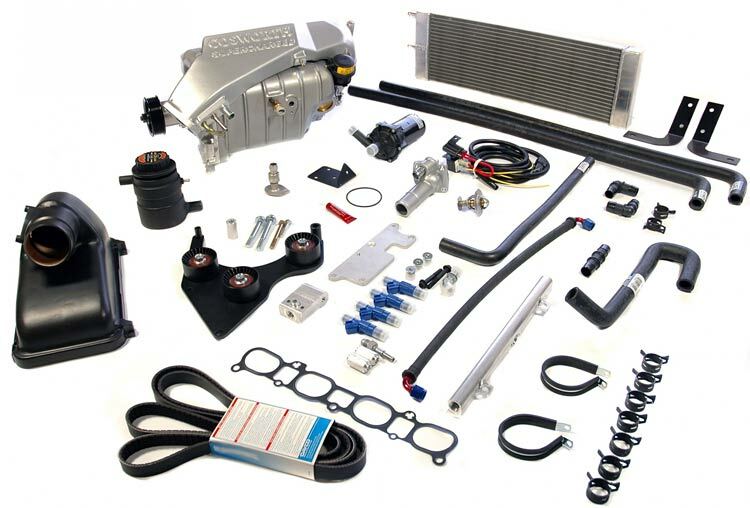 From the robust and performant Rotrex supercharger unit itself, the cooling, the fueling and the engine management are all supplied in this kit. Based on the performance and features we rate this kit a full five stars. Watch a professional garage installing a Kraftwerks supercharger kit on a Mazda Miata NC. 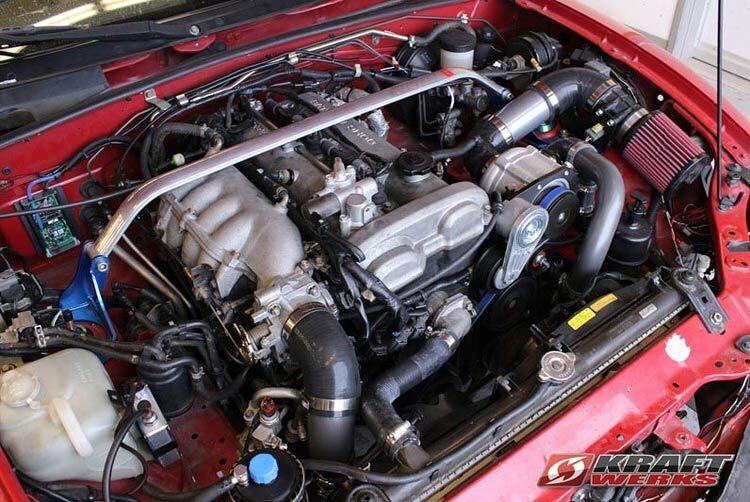 Our comment: Edlebrock is now offering a supercharger performance package for the new generation of Miatas that are equipped with the SKYACTIV®-G engine. This Eaton powered supercharger delivers 198rwhp and 182rw torques for the lightweight ND platform. Edelbrock also offer 50 state legal tunes available directly from their website. These features and a reasonable price point make the Edelbrock supercharger kit a great choice for upping the power on your modern Miata. Edelbrock E-Force Supercharger Dyno Results for an ND model Miata. As we are showing different generations of the Miata platform and each kit offers a range of power levels (based on supporting mods) we can’t compare each kit directly, however, what we can do is look at which kit offers the best value for money, regardless of platform. The Kraftwerks kit for the NC model car stands out for offering great value for your cash. You are looking at a truly complete forced induction conversion, from cooling, to fueling to engine management. Couple this ease of installation with potent Rotrex powered performance and you have a killer package on your hands. Thank you for reading our Mazda Miata supercharger guide. Now that you have the right Miata supercharger for your Mazda all lined up, why not read our Miata exhaust guide to get that car sounding on point.